My addiction to drinking coffee didn’t start until I was college-age. 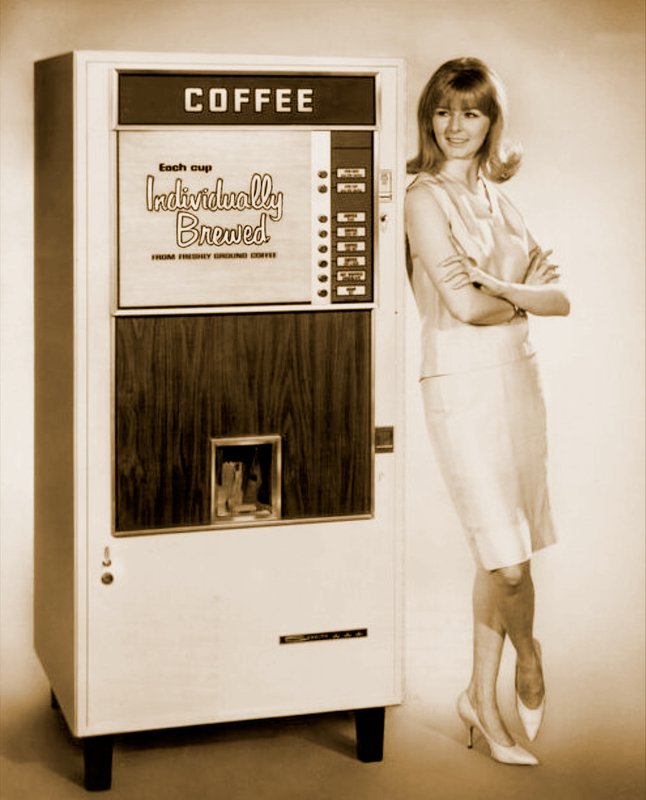 That’s when I had my introduction to coffee vending machines, whereby I could get coffee whilst on study breaks or working part-time as a typist for the County Welfare Dept. It was like magic to get a cup of coffee for a few coins — just push the buttons for the various options as to how you wanted your coffee, and the cup dropped down into place (most times) with a soft thunk and, after some whirring and splashing, your steaming brew was ready for the taking. There was much talk about how bad-tasting it was, but my coffee-drinking palate was totally undeveloped at the time. I was hooked. My parents both drank their coffee black, so I don’t know where I got the ‘coffee with creamer & sugar’ gene, which is how I started drinking it. Sometime in my 20’s, I eliminated the sweetener and graduated to ‘coffee with milk’. And now I’m partial to coffee with soy/almond/coconut, etc. (plant-based) milk. In recent years, I’ve found that I like my coffee to be ‘as strong as possible’ which is how I order it at Peets or Starbucks. I’ve nearly weened myself off caffeinated coffee, except for making my first morning cup about 25% ‘leaded’. Any drinking of caffeine after that invariably leads to much difficulty falling asleep. Speaking of falling asleep — It is such a comfort to end my day with thoughts of how wonderful it’ll be to repeat the morning ritual of making my morning coffee, anticipating the first sip of coffee and the feel of the steam rising from the mug. Yes, I’m definitely hooked! How To Get Rid Of Those Greys?